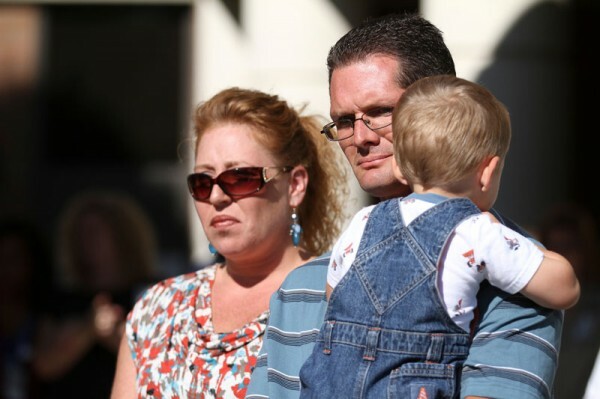 Allison and Mark Vistein of New Springfield, Ohio, could hardly believe the news when they found out they were having twins in 2009. At 19 weeks pregnant, they learned their older son, Caleb, was getting two brothers. On March 11, nine weeks early, Allison went into labor and delivered Aiden Daniel (3.3 lbs.) and Alex David (4 lbs. ), four minutes apart. Since they were so small, they were immediately brought to Akron Children’s NICU at St. Elizabeth in Youngstown. Although Aiden grew stronger, Alex developed necrotizing entero colitis (NEC) and was life-flighted to the Akron Children’s Hospital main campus. NEC occurs when intestinal tissue dies – usually in ill or premature babies. Baby Alex successfully went through surgery, but not the blood transfusion that followed. He was too small and too weak to handle it. He passed away in his mother’s arms when he was 6 days old. While devastated by the loss of Alex, Allison and Mark were happy and relieved when Aiden was healthy enough to go home after five long weeks in the NICU. 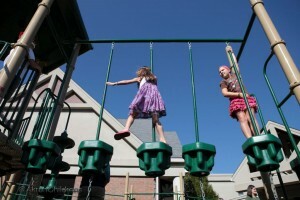 The Visteins approached Akron Children’s Hospital Mahoning Valley with the idea of building a playground in Alex’s name. They wanted to give back to the hospital, so other children in the community would have a place to play and have fun. Allison and Mark made the initial gift for the project with the funds received from family and friends, and it soon grew to include a $125,000 grant from The Hine Memorial Fund of The Youngstown Foundation. The playground was constructed primarily during a “community build,” in which 37 family and friends, community members and Alex’s doctors, nurses and other caregivers from the hospital, volunteered their time to bring “Alex’s Playground” to life. But this isn’t any ordinary playground. It was designed to accommodate children in wheelchairs, leg braces, crutches and other barriers that may leave them sidelined at a traditional playground. The play area also includes sound and visual stimulation for children with hearing or vision loss. On Aug. 29, Alex’s Playground opened on the Beeghly campus in Boardman for patients and families in the hospital’s inpatient areas, as well for as for children receiving outpatient care, including primary care and physical, occupational and speech therapy. Naming opportunities are available in the playground for donors to contribute towards a block which will be engraved with the name of a special child in their life. If you’re interested in donating, call 330-746-9122. Can the human brain be mapped?